Wear-resistant, Patent Leather construction. Lightweight, compression-molded EVA midsole has been specifically designed to reduce the knee and joint stress associated with prolonged standing. 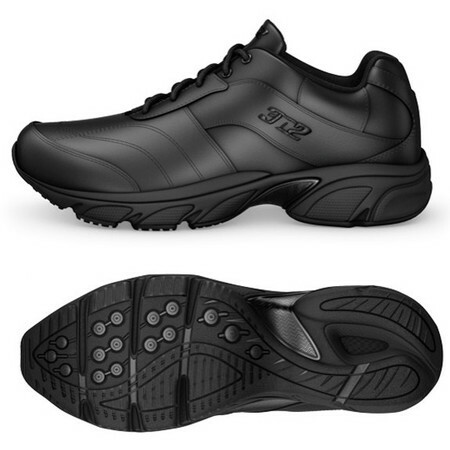 Low-profile, flat bottom, non-marking outsole is purpose built for indoor sports such as basketball. BOUNCEBACK advanced midsole system utilizes an integrated air-bubble to provide unbelievably responsive cushioning, spring and impact absorption. KZONE cool-comfort, water-wicking sockliner is non-slip and treated with odor-fighting O-ZONE antimicrobial shield.